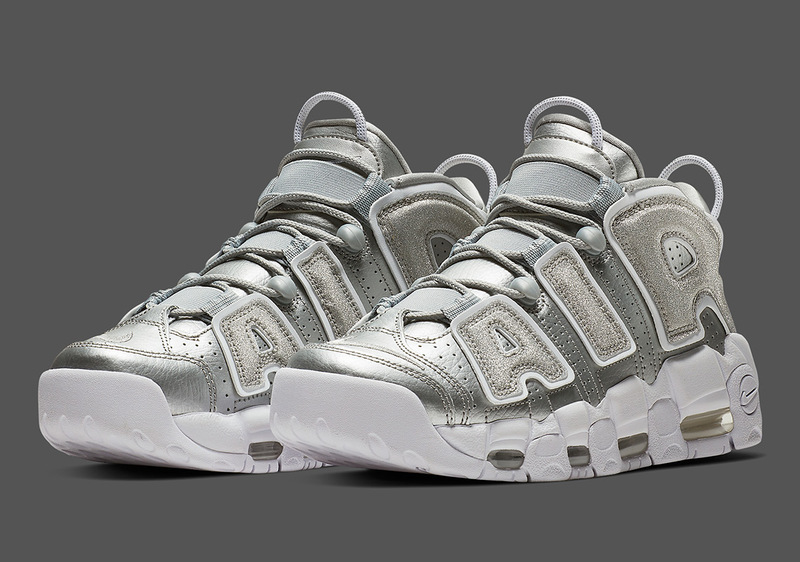 Nike’s Air More Uptempo silhouette is the perfect exemplification of 90s hoops culture. The NBA was a much more physical and tough game back then, and the boisterous nature of this bulky model sums it up flawlessly. Its recognizable aesthetic hinges on its graffiti-style AIR graphic, while the supporting details tend to take a backseat to the 1996 sneaker’s focal point. However, this time around, the Swoosh ushers in a metallic silver upper to complete this ladies only design affectionally given a “Loud And Clear” monicker. While you might think that this eye-catching of a color scheme doesn’t belong on an equally loud silhouette, it is important to keep in mind that the Air More Uptempo isn’t designed for the faint of heart. Female sneakerheads looking to make a loud and clear statement with their footwear can mark their calendars for the November 8th Nike SNKRS release of this resurgent retro basketball design.